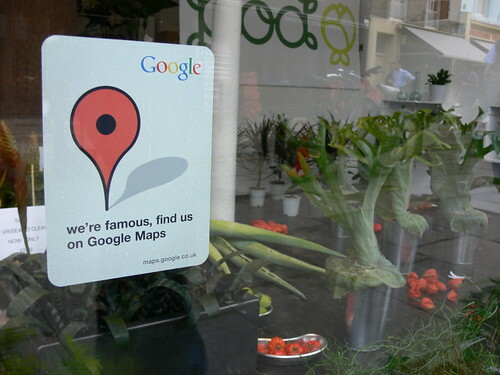 Google’s Location History is being used by US police to arrest people – sometimes wrongly. CC-licensed photo by Lars Plougmann on Flickr. A selection of 11 links for you. There you are! I’m @charlesarthur on Twitter. Observations and links welcome. Several spurned operators, including Spin, Lime and Uber’s Jump, had appealed their rejections, while Lyft wrote letters asking for reconsideration. All had hopes of being tapped for the program’s second half. From riders’ perspective, fewer scooters makes the rentals less useful, according to people who attended a public workshop held by the agency this month. Both Scoot and Skip said they’d be happy to increase their fleets, especially now that they’ve ironed out some kinks — notably preventing theft and deterring some vandalism by adding built-in locks to all scooters as of early February. Locks also ensure that parked scooters aren’t tipped over and don’t block sidewalks, curb cuts or crosswalks as they have to be affixed to bike racks or posts. “The locking is key,” Maguire said. “We’re the first city in the country that has all our scooters lockable.” Complaints about improper parking have plunged since the locks were implemented, he said. Scoot had only a fraction of its allotment on streets for the program’s initial months because theft was so rampant, but now is bringing its numbers up. So.. regulation is what’s needed? Novel idea. The InLink kiosks installed throughout the UK were meant to replace payphones and provide free calls, ultra-fast WiFi and phone charging. But it wasn’t long before they became a hotbed for drug dealing. Rather than do away with the free phone service, British telecom company BT and InLinkUK developed an algorithm to automatically block and disable “antisocial” calls. The algorithm uses the frequency of attempted and connected calls, their length and distribution and insights provided by police to identify suspicious patterns and phone numbers. It can then automatically block those numbers. It’s already been deployed across all of the InLinkUK kiosks. Before the system was in place, drug dealers reportedly arranged 20,000 sales from just five kiosks in a 15-week period. A separate kiosk was used to facilitate £1.28m in drug sales (about $1.68m). But BT and InLinkUK say less than half a% of the total calls across the InLink network are associated with antisocial behavior. And the company believes its new algorithm has already solved the problem. It was so obvious that free phone services would be abused. And now the solution is technology? It won’t take long before this is figured out; apart from anything, there’s money to be made, so people will find out how to defeat it. There, at least, is what humans do have over machines: the profit motive. Each year at the start of May there is an International Dawn Chorus day. And off the back of this comes Reveil, an annual broadcast that comes from an art collective called SoundCamp. Around the world, people participate by placing open microphones wherever they happen to be, capturing all the glory of their local dawn chorus. These live streams can all be found on the Locus Sonus Soundmap. Starting on the morning of Saturday 4 May just before daybreak in Rotherhithe near the Greenwich Meridian, the Reveil broadcast will pick up these feeds one by one, tracking the sunrise west from microphone to microphone, following the wave of intensified sound that loops the earth every 24 hours at first light. The resulting stream is broadcast on a number of radio stations throughout the world including Resonance Extra in London. …The really great thing is that it’s surprisingly easy to create a live stream. While you could use your laptop, or even a mobile phone, my preferred method was to build a Raspberry Pi based streamer. So cheap to do, such a nice idea; the most expensive thing is probably the microphone. Hello, Google’s Location History feature – which will collect data about your location all the time (on Android) or when allowed (on iOS). The facial recognition technology, which is integrated into China’s rapidly expanding networks of surveillance cameras, looks exclusively for Uighurs based on their appearance and keeps records of their comings and goings for search and review. The practice makes China a pioneer in applying next-generation technology to watch its people, potentially ushering in a new era of automated racism. The technology and its use to keep tabs on China’s 11 million Uighurs were described by five people with direct knowledge of the systems, who requested anonymity because they feared retribution. The New York Times also reviewed databases used by the police, government procurement documents and advertising materials distributed by the AI companies that make the systems. Chinese authorities already maintain a vast surveillance net, including tracking people’s DNA, in the western region of Xinjiang, which many Uighurs call home. But the scope of the new systems, previously unreported, extends that monitoring into many other corners of the country. Shoppers lined up for identification checks outside the Kashgar Bazaar last fall. Members of the largely Muslim Uighur minority have been under Chinese surveillance and persecution for years. The police are now using facial recognition technology to target Uighurs in wealthy eastern cities like Hangzhou and Wenzhou and across the coastal province of Fujian, said two of the people. Law enforcement in the central Chinese city of Sanmenxia, along the Yellow River, ran a system that over the course of a month this year screened whether residents were Uighurs 500,000 times. China is becoming the totalitarian nightmare: using technology to oppress and suppress minorities. It’s quite like what the Nazis did to identify Jews in Holland and elsewhere. n the last five years. Microsoft has improved the way it identifies which research to use in which products and how to get even the most distant employees to collaborate. For example, every six months or so, they host a two-to-three day workshop between research and product teams to share their findings and participate in a hackathon. The authors of this piece are from a “growth advisory firm”. Perhaps they haven’t noticed that in the past five years Microsoft did a reorg so that it would have the same horizontal structure as, ah, Apple. And the piece doesn’t mention Apple’s AirPods (that would spoil the story of “nothing new”). What’s Apple working on? We don’t know. That doesn’t mean it isn’t. People have been calling it over for ages, but I really don’t think Microsoft is the one to compare it to. Something about the piece struck a chord. It had gone viral, and wave after wave of frustrated and saddened Fox News orphans began to commiserate with me and with each other on Twitter and in my messages. Others wrote of similar phenomenon in Australia with the television channel Sky or in the U.K. with the tabloid Daily Mail. I heard from more than a hundred people who felt like they could relate to what they all seemed to think of as a kind of ideological brain poisoning. They chose Fox News over their family, people told me. They chose Fox News over me. This is the result of the loosening under the Reagan administration of the requirement that TV stations should not be political – that they had a responsibility to reflect the truth, and be impartial. The whirlwind has been slow to arrive, but no less big. Over one-third of consumers who bought the Google Pixel 3 and the OnePlus 6T, during Q4 2018, were previous Samsung owners, according to Counterpoint Research’s US Smartphone Churn Tracker. Less than one in five people who bought either device was a previous Apple user. In Q4 2018, Google Pixel accounted for 7.3% of Verizon’s total sales while the OnePlus 6T made up 2.4% of T-Mobile’s total sales. Each device signaled an appetite for more diversity in premium device product line-ups from consumers. Despite the initial sales success, the Pixel 3 series has been ineffective in converting a larger share of iPhone users to Android. Conversely, 6T sales have been down Q1 2019 in spite of the strong Q4 2018 start. Given the small volumes that the Pixel and OnePlus sell in, this isn’t making a dent on Apple or Samsung. If Google or OnePlus could get real volume, it would be a different story. Using popular health apps could mean private information about medical conditions is not kept confidential, researchers warn. Of 24 health apps in the BMJ study, 19 shared user data with companies, including Facebook, Google and Amazon. It warns this could then be passed on to other organisations such as credit agencies or used to target advertising. And data was shared despite developers often claiming they did not collect personally identifiable information. Users could be easily identified by piecing together data such as their Android phone’s unique address, the study says. “The semi-persistent Android ID will uniquely identify a user within the Google universe, which has considerable scope and ability to aggregate highly diverse information about the user,” wrote co-author Dr Quinn Grundy of the Lawrence S. Bloomberg Faculty of Nursing at the University of Toronto. • regulators should consider that loss of privacy is not a fair cost for the use of digital health services. Several people involved in the project’s development say Apple is spending several million dollars each on most of the more than 100 games that have been selected to launch on Arcade, with its total budget likely to exceed $500m. The games service is expected to launch later this year. “It’s Sideways, not Marvel,” said one games industry executive, referring to the Oscar-winning independent film set in California’s wine country. In other words, you can’t predict what will be a hit. But Apple is seeing this as strategic; a long-term play, rather as Netflix does for its own content, because who knows where the licensed content might go? America has officially entered the “coal cost crossover” – where existing coal is increasingly more expensive than cleaner alternatives. Today, local wind and solar could replace approximately 74% of the US coal fleet [generating capacity 211GW] at an immediate savings to customers. By 2025, this number grows to 86% of the coal fleet. This analysis complements existing research2 into the costs of clean energy undercutting coal costs, by focusing on which coal plants could be replaced locally (within 35 miles of the existing coal plant) at a saving.